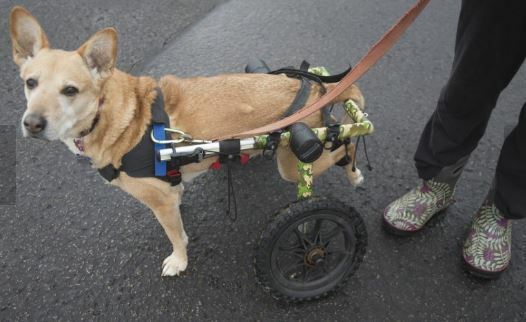 Annie’s Wheelchair Keeps Her on the Trails with Her Family! When a family pet received a dire diagnosis, her family went to work to ensure she could keep up with the family and still enjoy life to the fullest. 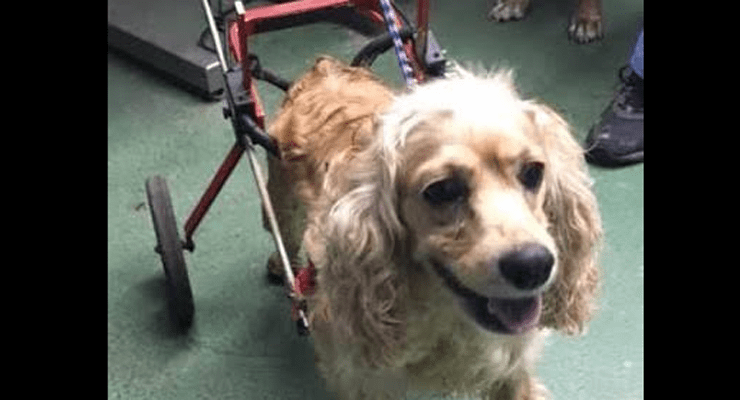 Angie’s former owners dumped her at the shelter but before abandoning her, they took away her wheelchair. She is paralyzed. 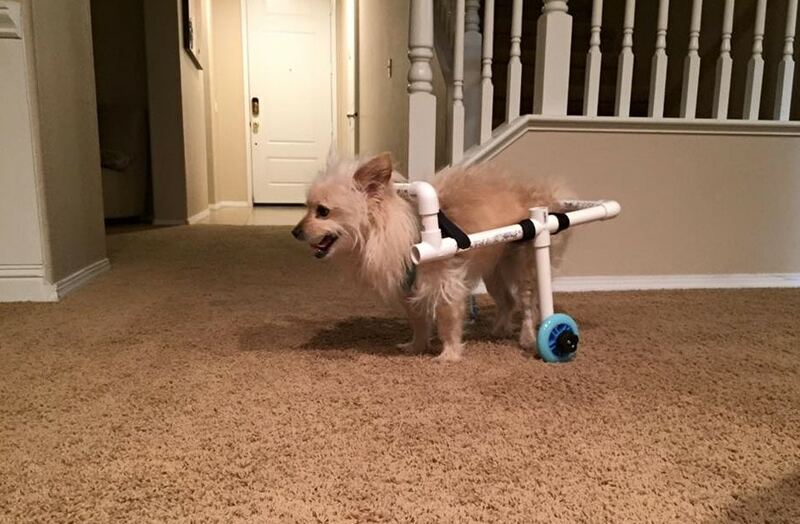 James Stewart Paniagua earned the title of “best boyfriend ever” after constructing a $1,000 doggy wheelchair replica for just $40. 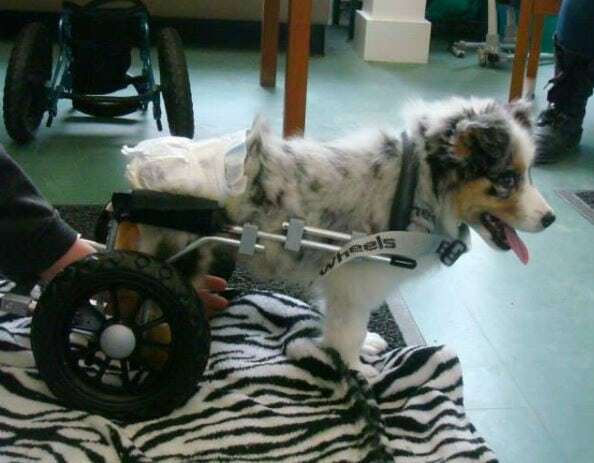 Abby, a 3 month old Aussie pup with with rear leg spasticity due to a spinal cord injury, walks for the first time in her life using an Eddie’s Wheels dog wheelchair.